Back by popular demand, it’s 32 linear feet of 1/64th scale diecast racing (think Matchbox/Hot Wheels/Johnny Lightning) with 4 lanes of head-to-head races! Each racer will have the opportunity to qualify with their best of 3 race times for the winning trophy! With our new start-of-the art computerized racing program, each racer will have the opportunity to prove their car has what it takes! You can bring your own car, or you can buy one from us. Registration is $3 per car. You can register as many times as you want…don’t miss this incredibly fun activity! Looking for a chance to practice? 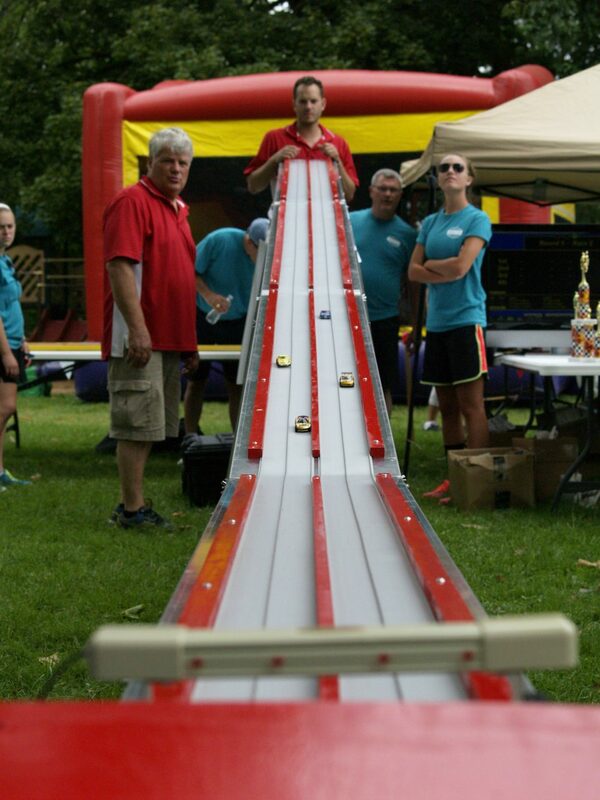 Then join us at the 6th annual Firecracker 500 where racers will have the chance to see the Bear Swamp Derby in full action. 6th Annual Firecracker 500 will be held during the 4th of July festivities at Macungie Memorial Park.